There are a lot of metabolic disorders such as tyrosinemia, phenylketonuria, homocystinuria and maple syrup urine disease. These disorders cause congenital diseases that lead to a significant enzyme deficiency and enzyme deficiency interferes with the metabolism of the body. The symptoms and pathologies vary among diseases, but these are generally critical and fatal and there is no known cure. Infants are most affected by metabolic disorders. Most of these diseases currently lack effective treatments. It is very necessary for patients to maintain a strict diet, avoiding some nutrients and food items containing substances that their bodies cannot break down. The proposed solutions, such as bone marrow transplantation, are often very expensive and only partially effective. A new study conducted by Tel Aviv University and report was published in Nature Communications on 8 January 2019. 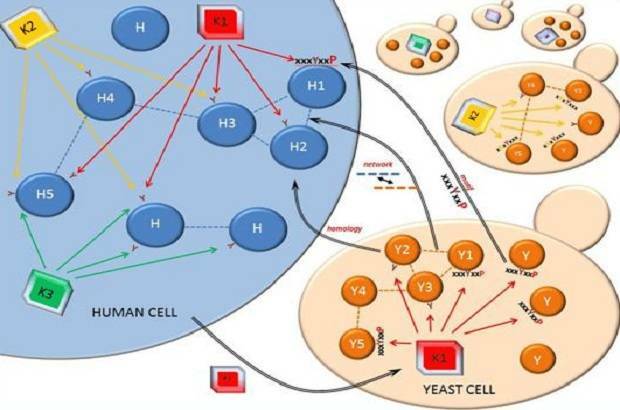 The study report suggests that the role of yeast, the most fundamental eukaryotic unicellular organism in the world, can lead to the development of the novel, more effective treatment. Dr. Dana Laor, lead author of the study conducted in Prof. Ehud Gazit's TAU laboratory atTel Aviv University |The George S. Wise Faculty of Life Sciences, said in a statement “The same yeast which acts as a basis for the bread that we eat and the beer we drink also works as an instrumental model of metabolic disorders. In the last decade, three Nobel Prizes have been awarded to scientists involved in research related to yeast, and it is no surprise. The yeast grows quickly; It is cheap and affordable, and it is easily manipulated as a simple unicellular organism. "Now, we have also exploited its properties to gain insight into this destructive group of diseases,” Dr. Laor explained. The research is based on previous studies conducted by Professor Gazit and his colleagues that revealed and disclosed the role of toxic metabolite accumulation in the pathology of metabolic disorders. Prof. Ehud Gazit said in his statement, “We have known for some time that amyloids are associated with acute diseases of the central nervous system, such as Huntington's, Alzheimer's and Parkinson’s. Recent experiments in our laboratory have shown that they also characterize and distinguish genetic metabolic disorders. In such disorders, the gene responsible for enzyme production, which modifies a particular metabolite, is damaged. As a result, large amounts of that metabolite accumulate in the body and lead to serious damage. While each case is considered "rare", these disorders constitute a large proportion of pediatric genetic diseases”. In the new study, Dr. Laor manipulated yeast cells genetically to produce the toxic accumulation of metabolite adenine, and as a result, the vivo yeast model of congenital metabolic disease is devised for the first time. This innovative platform will allow scientists to examine thousands of small drug-like molecules to identify molecules that can lead to new treatments and novel therapies which can later be developed by Big Pharma. “Our pioneering research can help in identifying the molecular systems involved in these diseases and can help in developing appropriate medicines. If you can successfully add pieces of the puzzle, then you can easily understand the biology behind a disease. It is important to understand the path leading to toxicity due to metabolite accumulation to develop proper therapy. In this case, the lives of thousands of children can be saved and their quality of life may be improved significantly,” said Sr. Laor. Recently, the researchers have received an investment commitment from the Tel Aviv University Technology Innovation Momentum Fund, which invests in promising advanced technologies, to collaborate with the BLAVATNIK CENTER to establish an integrated drug discovery platform for metabolic disorders. The fund is managed by Ramot, the Tel Aviv University's Business Engagement Center. Researchers also have a patent pending on their yeast model.